Hello, Western Carolina Region. You ask. We deliver. We deliver throughout your modern Charlotte city hub, your universities, your museums, NASCAR Hall of Fame and beyond. As we deliver throughout Asheville, you take our breath away with your seasons of color and Blue Ridge Mountains. 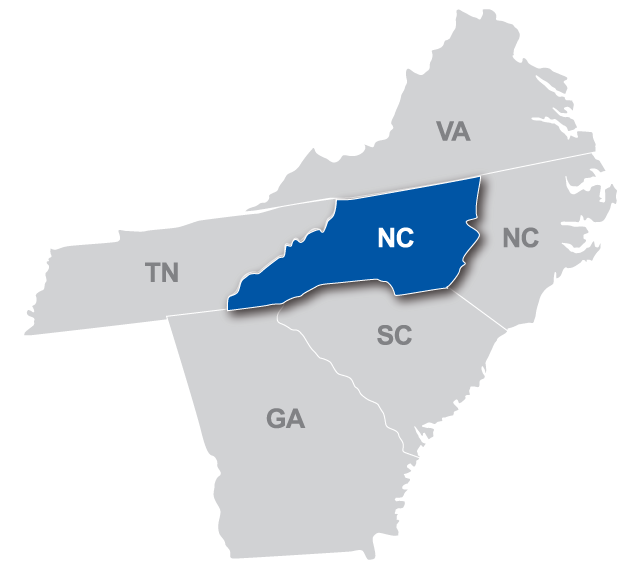 You will also find us in metro Greensboro and your beautiful surrounding suburbs.